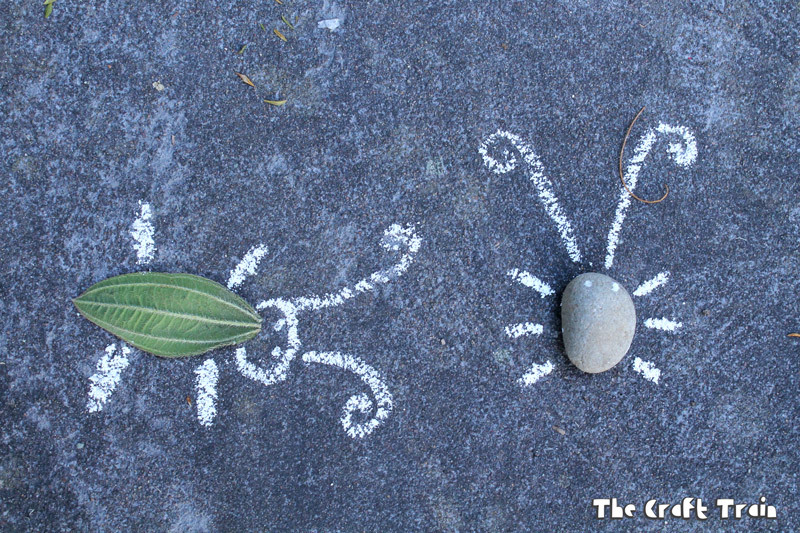 Today I’m excited to share this gorgeous process art idea of chalk drawing and ‘earth art‘ combined. 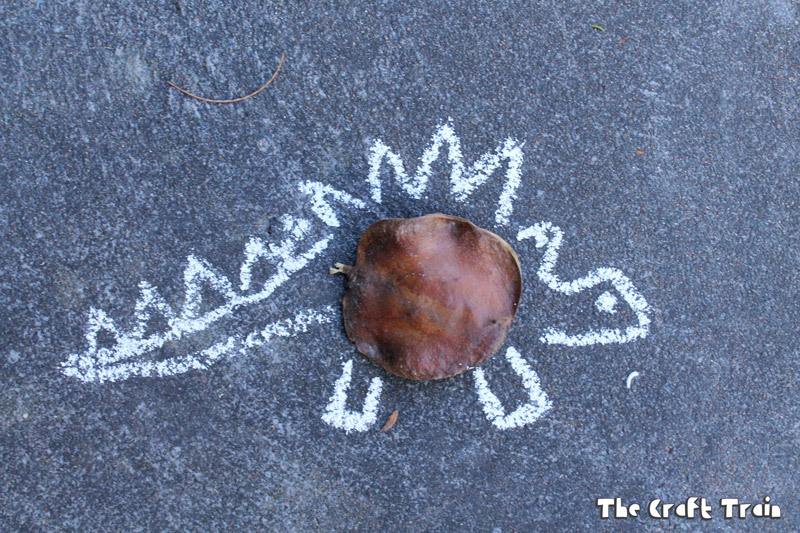 Pavement chalk drawing is one of our favourite no-fuss activities. 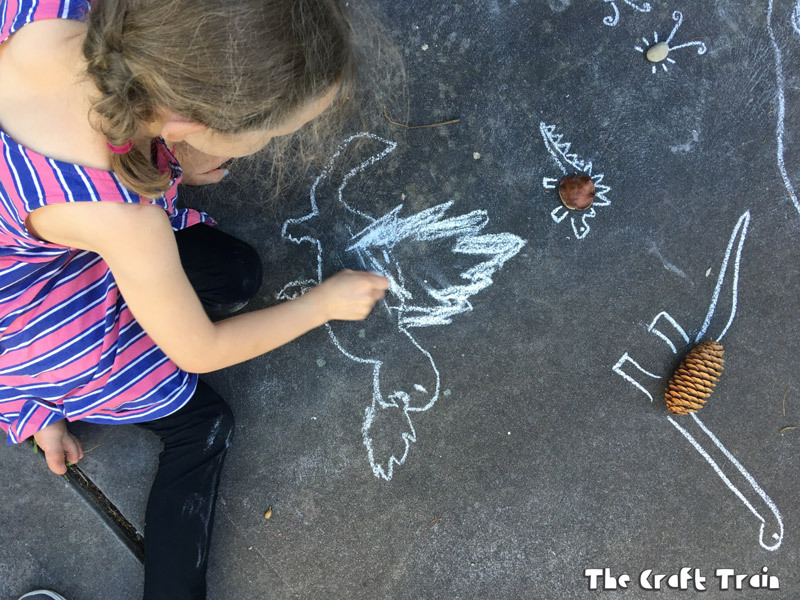 I love it because it gets the kids outside enjoying themselves and using their imaginations with the added bonus of not making a big mess in the house. 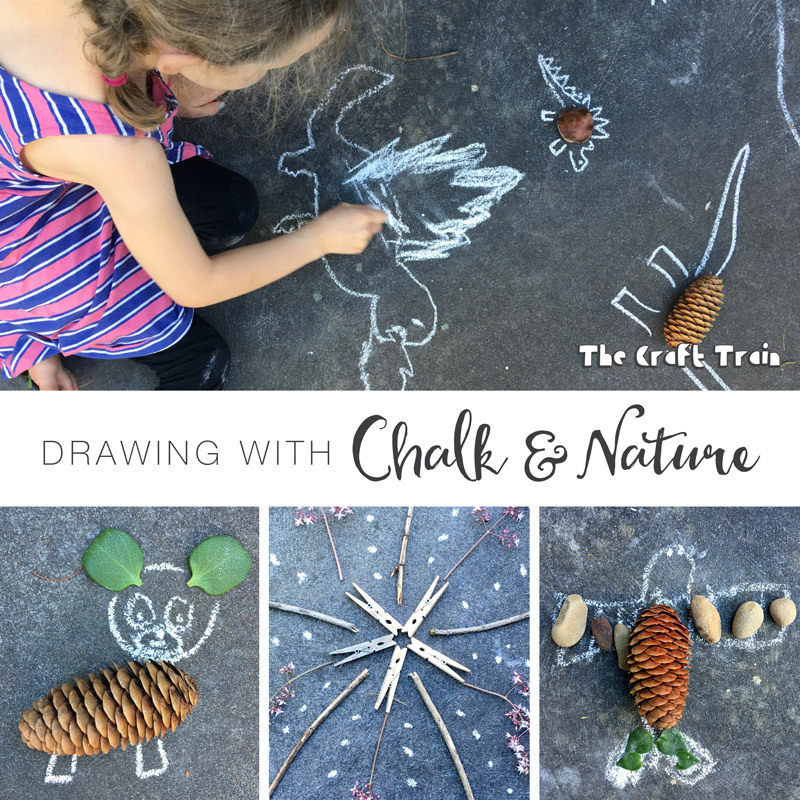 One day we decided to extend pavement chalk drawing by adding in some nature items which were found mostly in our back yard. 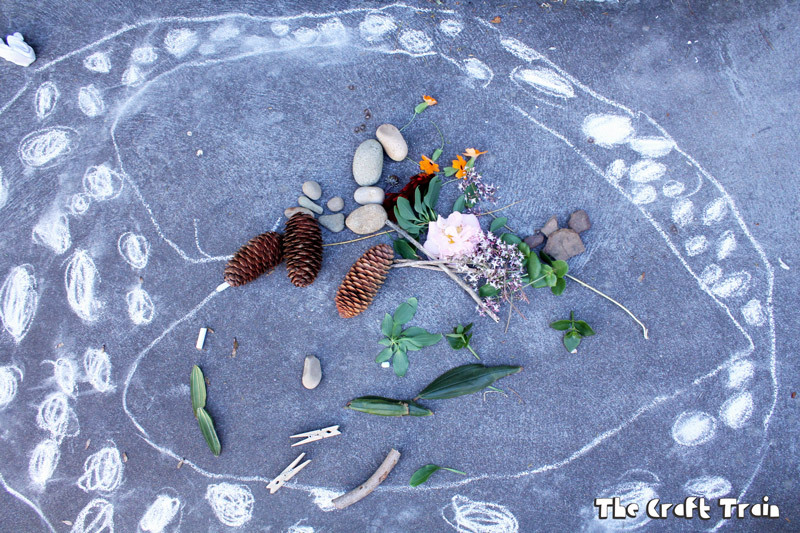 If you can’t find much in your back yard try going on a walk to collect a few things especially, and if you have no chalk on hand you could try making art using nature alone (like we did in our earth art activity). 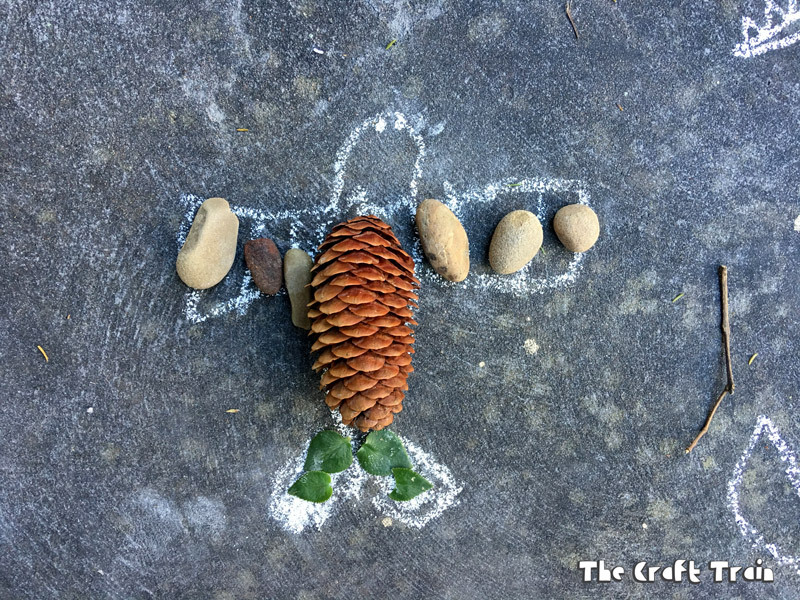 We happened to have some pine cones in the house which were not from our back yard and also decided to take a few pegs from the clothes line. You can see there are sticks, rocks, flowers and leaves here which reflects our season (Summer right now but these photos were taken in Spring). 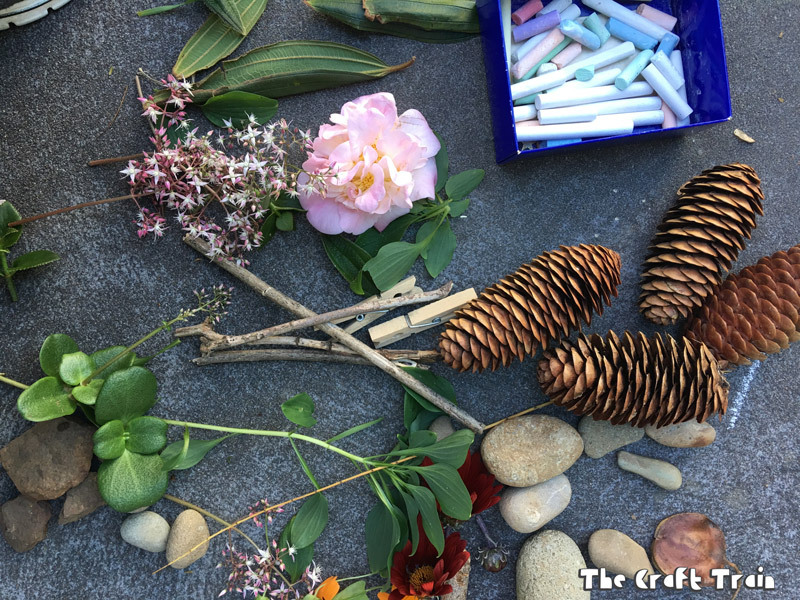 If you are near the beach it would be fun to use driftwood, shells and seaweed or in Autumn some colourful dried leaves. 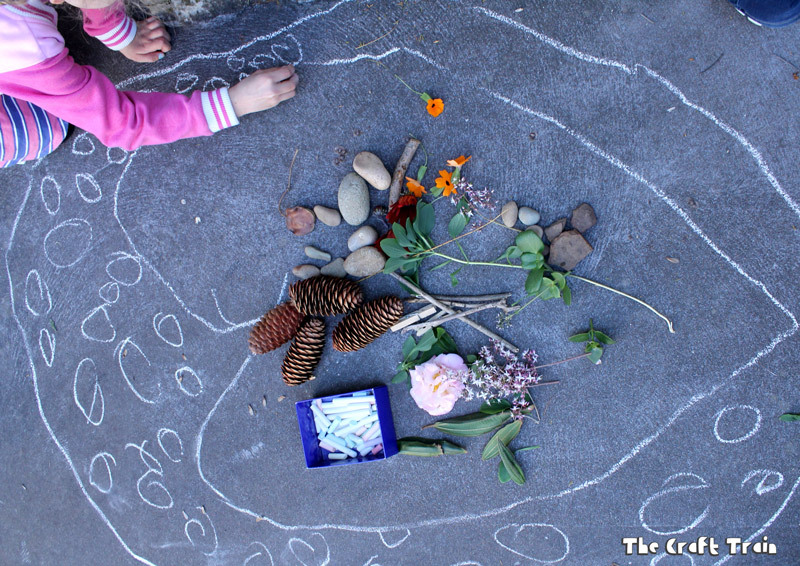 There are no real rules to this activity, just draw and incorporate some of your collected items into your designs. 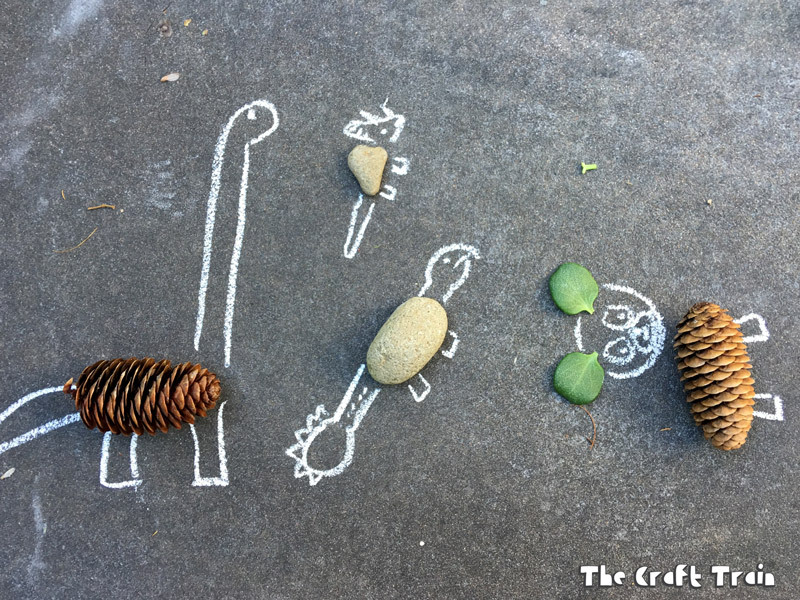 I kicked off the idea of creating simple animals from nature and chalk. Miss K wanted to draw dragons. 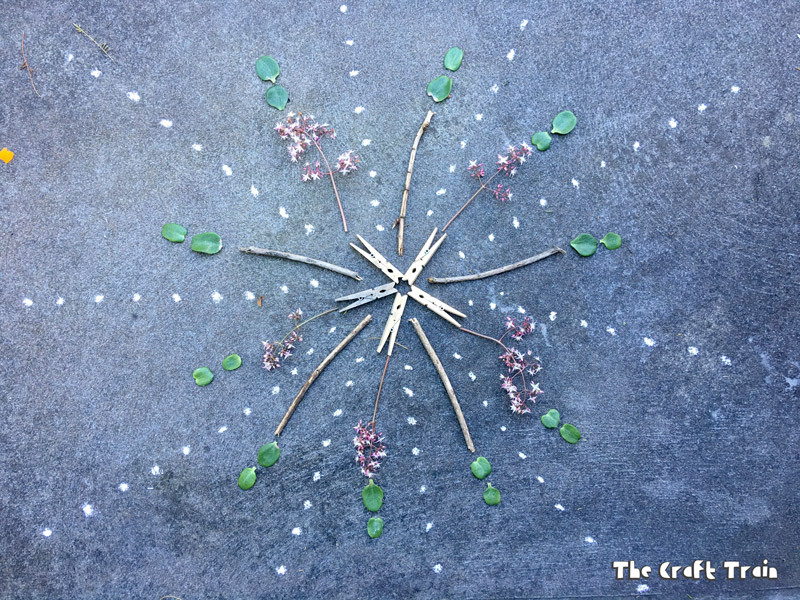 Another fun idea is to create a mandala pattern. 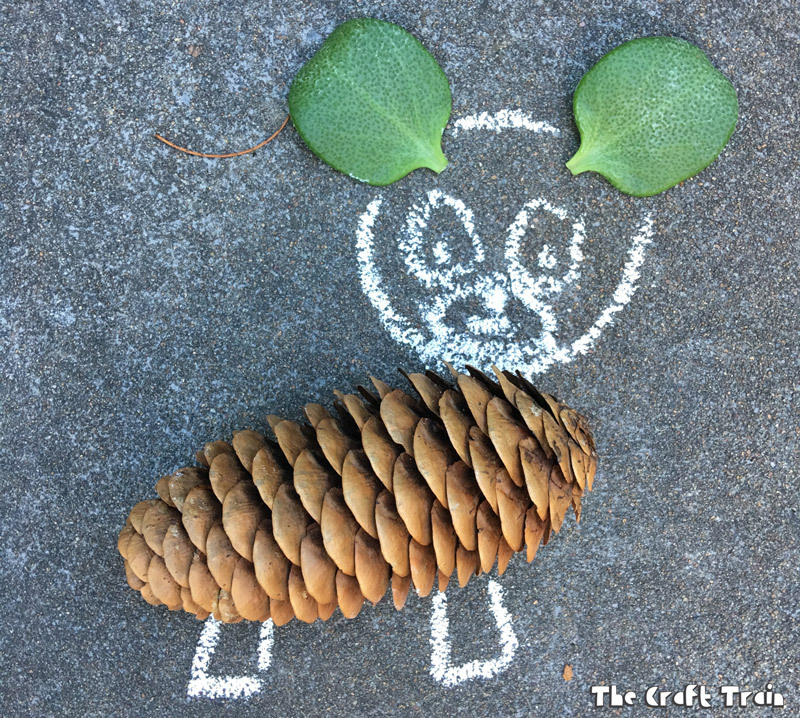 Don’t forget to snap a photo of your designs before you clean them up or they get rained on. This was such a simple art idea, but as is often the case the simple ideas are usually the best. 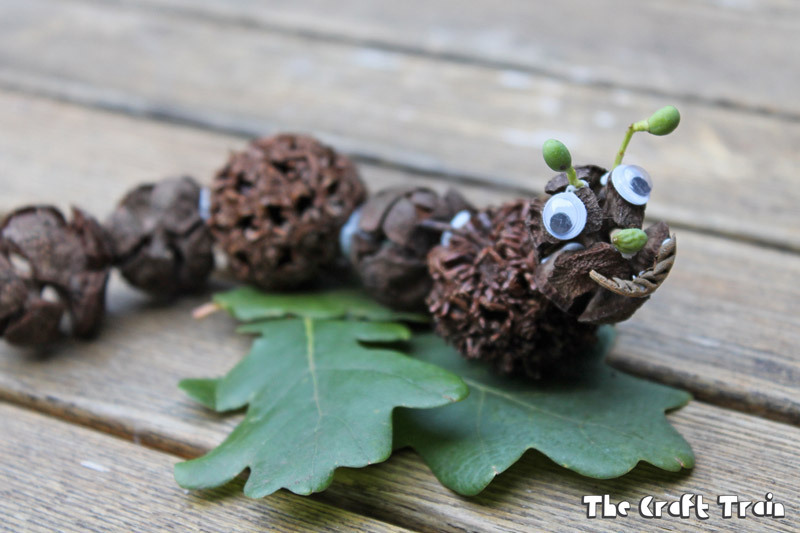 Next time you have a collection of random nature items on hand you now have at least one good use for them. 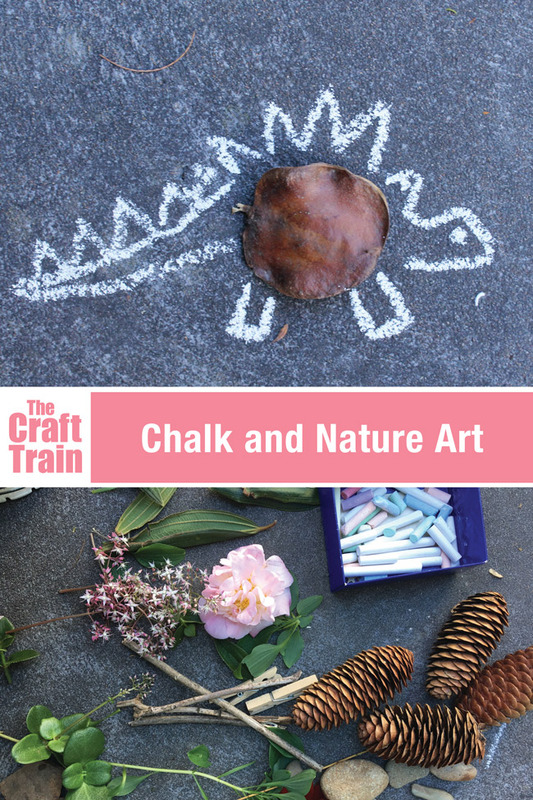 Visit our nature crafts board on Pinterest for lots more inspiration! Splendid stuff thanks for sharing!